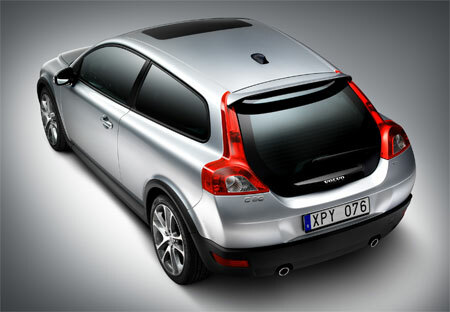 Volvo has released details on the upcoming Volvo C30 hatchback set to be unveiled to the public at the Paris Motor Show in September 2006. 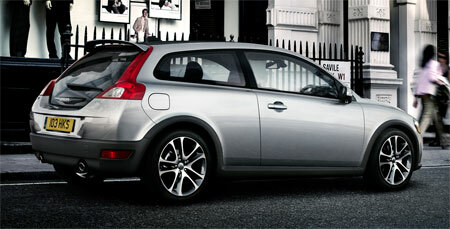 The Volvo C30 is a sporty two-door hatch with a unique large glass tailgate which Volvo targets at young singles or couples with an intense urban lifestyle. 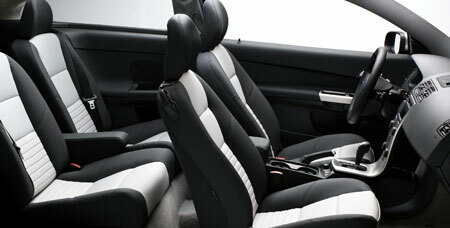 The car is a four-seater, with the rear row having two individual seats with a gap in the middle. More details after the jump! 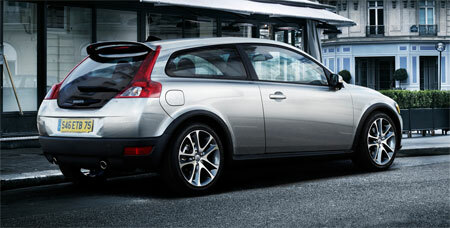 This is basically Volvo’s Mazda3 hatch. From the front, the Volvo C30 retains the look that it’s siblings the S40 and V50 have, angled headlamps and a low wide grille. 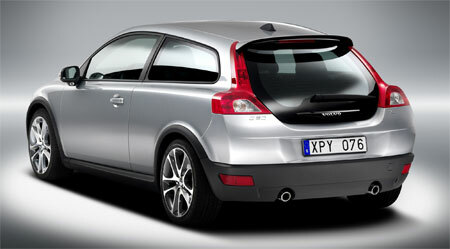 The rear lamp cluster has the typical Volvo L-shape, and these flank an unconventionally large glass tailgate. 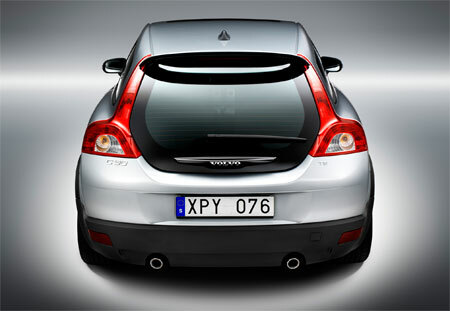 The large tailgate concept was first introduced on the Volvo Safety Car Concept (SCC). This might remind you of a hearse at first sight, but it does help with rear visibility. 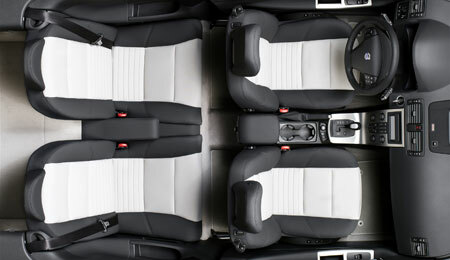 The individual rear seats are placed close together with a small gap in between for a more centered seating position so the rear occupants can have a better view of where the car’s going. Engine options will be similiar to it’s S40 brethren, ranging from a 100 horses inline-4 1.6-litre petrol engine, an inline-4 1.6-litre diesel with 109 hp to inline-5 D5 and T5 turbo engines, providing 180 and 220 hp respectively. Coming with true Volvo DNA, it naturally features a myriad of safety equipment. 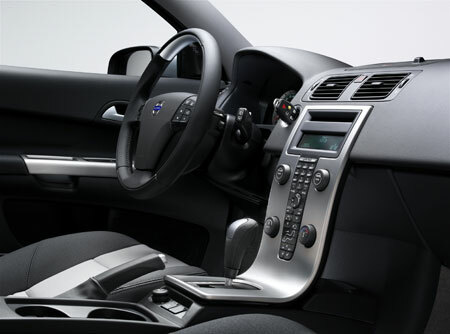 The Volvo C30 comes with BLIS (Blind Spot Information System), which helps the driver to identify another vehicle in the blind spot at the rear sides of the car. Other safety equipment includes the Whiplash Protection System, WHIPS, and a Side Impact Protection System with side airbags and the Inflatable Curtain, IC. You also have the standard issue normal airbags and safety belt tensioners. The car is equiped across the range with a good sound system, but there are options to upgrade to Volvo’s Premium Sound system, with a digital 5x130W ICE Power amplifier from Alpine featuring Dolby Pro Logic II Surround, and 10 loudspeakers from Danish Dynaudio. 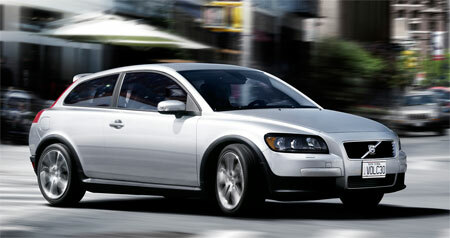 Volvo hopes to sell 65,000 of the Volvo C30 a year Production begins end-2006.